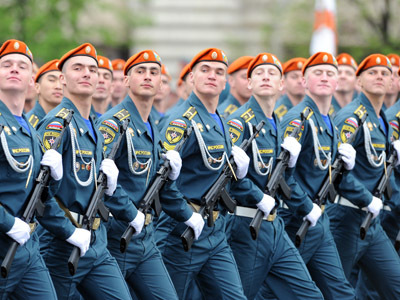 ­Celebrating Victory Day with a military parade on Red Square is a long standing tradition. 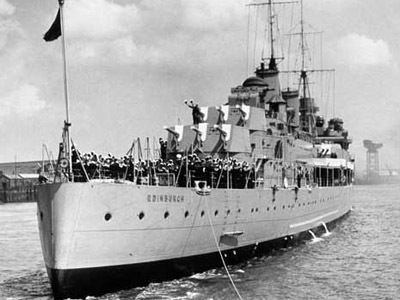 The first such event was held in 1945 on June 24, more than a month after the defeat of Nazi Germany. Troops who had just returned from the front took part in the mass celebration. The initial plan included an aircraft fly-over and military columns with civilians following in tow. But as the day started with heavy rain, organizers were forced to make last-minute changes. One of the key parts of the parade was the demonstration of the Nazi banners captured by the Soviets. A documentary of the event was one of the first Russian movies made in color. Soon thereafter, parades were held on May 9 to mark jubilee years of the victory – in 1965, 1985, 1990 and 1995. The consequent events were annual, although not every occasion was used to show off the country’s military hardware. The jubilee 2005 parade included an aerial component, but no ground military vehicles. 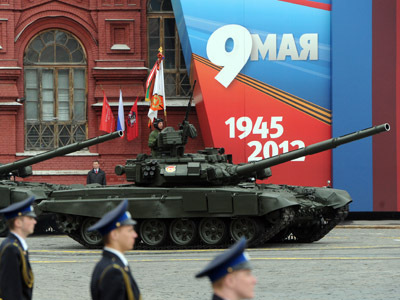 Tanks and missiles became a part of every Victory Day parade after 2008. The most massive parade in Moscow was in 2010 during the 65 year anniversary celebration of the war’s end. It included 161 vehicles and 127 aircraft, as well as 11,135 troops. It was also the first parade to have foreign troops march alongside Russians soldiers. This year’s hardware demonstration included T-90 tanks, BTR 80 armored personnel carriers, Tigr armored reconnaissance vehicles, Buk-2M2 air defense missile systems, Topol-M ballistic missile launchers, S-PU 400 long-range air defense missile systems, Iskander tactical missile launchers and MSTA-S self-propelled howitzers. Mi-8 helicopters flew over Red Square carrying military flags. Victory Day parade part 1. Victory Day parade part 2.